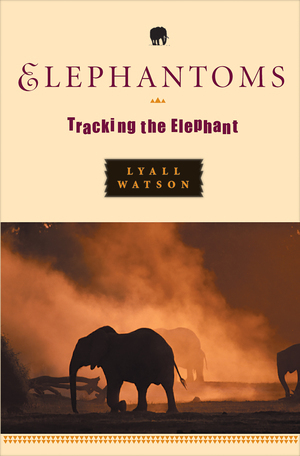 Elephantoms - Description | W. W. Norton & Company Ltd.
As a child in South Africa, spending summers exploring the wild with his boyhood friends, Lyall Watson came face to face with his first elephant. 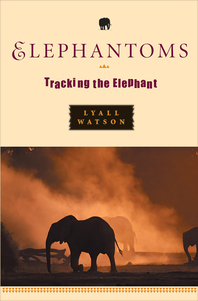 This "entertaining and enchanting" work (Washington Post Book World) chronicles how Watson's fascination grew into a lifelong quest to understand the nature and behavior of this impressive creature. From that moment on, Watson's fascination grew into a lifelong obsession with understanding the nature and behavior of this impressive creature. Around the world, the elephant—at once a symbol of spiritual power and physical endurance—has been worshipped as a god and hunted for sport. "Watson's insights and speculations are dazzling, but what lends them power is his extraordinary knowledge of evolutionary biology and animal behavior, ethnography and South African history" (Wade Davis, National Geographic Society). "Like a shaman, Watson conjures up the spirit of the massive beast" (Publishers Weekly), documents the animal's wide-ranging capabilities to remember and to mourn, and reminds us of its rich mythic origins, its evolution, and its devastation in recent history. Part meditation on an elusive animal, part evocation of the power of place, Elephantoms presents an alluring mix of the mysteries of nature and the wonders of childhood. Nothing is more memorable than a smell. So why do we persist in dismissing the nose as a blunt instrument?